How’s everyone holding up? I know some of you are already done with the readathon, in which case, bravo. For those of you on the official clock, we’ve got 6 hours left, and now’s crunch time. Are you done with your 24 hours? Do you have some time on the stopwatch left to go? Is your brain mushy yet? It’s dinnertime at 24in48 headquarters, and we’re making grilled caprese sandwiches (fresh mozzarella, basil, prosciutto, tomatoes, and a little olive oil, grilled between slices of Italian bread). They’re my favorite readathon sandwich because they’re super easy and really fresh. Since we’re almost done with the ‘thon, I’m curious about your favorites from this weekend. In the comments, tell me: 1) your favorite book of the readathon, 2) your favorite snack/meal of the readathon, and 3) your favorite non-book, non-snack part of the readathon. I’ll choose one random person from the comments to win your choice of a $10 Starbucks giftcard, a $10 Amazon giftcard, or a book (US$10 or less) from the Book Depository in the last check-in post of the readathon in six hours. Good luck in this very last home stretch, readathoners! You got this! You can still fill out the Intro Survey for a chance to win too! Just 12 hours left to go in this readathon weekend and it’s been a wonderful one for me so far. I got a chance to hang out with one of my favs yesterday while we both ‘thoned, and my mom has been reading along with me as well. We’ve had a fire crackling all weekend, stew in the crockpot, and a sleepy golden retriever to keep our feet warm. I hope everyone has had a great readathon as well, and is looking forward to this last home stretch. Speaking of stretching, right now, get up and do some jumping jacks, touch your toes, do a little downward dog, just something to get the blood moving. If you have an audiobook, why not take a quick 15 minute walk around the block? I’ll wait…go ahead. 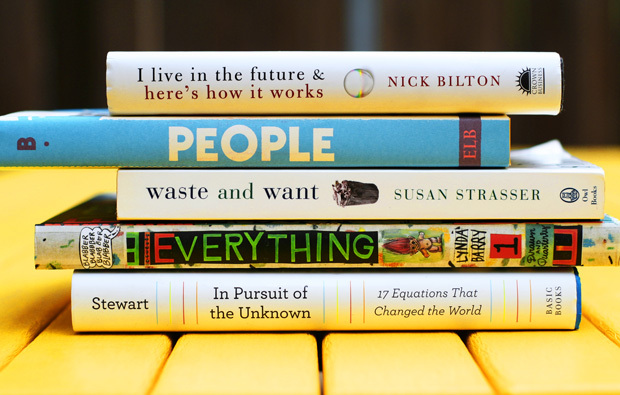 To win, comment with a link to a photo of your book spine poetry. As with the previous challenges, one random person will win your choice of a $10 Starbucks gift card, $10 Amazon gift card or a book (US$10 or less) from Book Depository. You have until the next check in at Hour 42. It’s 6am! ARE YOU UP?? (Chances are 50/50 whether I am right now, TBH). But through the magic of scheduling you guys get this early morning check-in post. So how is everyone doing this morning? Making progress on your reading goals? Did you read as much as you wanted? I know that today seems like the easy day, especially if you spent all day yesterday with a book, but day two is deceptively more difficult. You’ve probably got a more limited attention span, a book or two in progress, and the normal interferences of life that you can put off for a day start to encroach. Stay strong, you can do it. We’ve got a long day left to go. But I have more prizes to give out today, so hopefully that keeps you alert and attentive. This check-in’s challenge is an easy one. Snap a picture of yourself in front of your bookshelf (or shelves) and post it online. Leave a comment with a link to that photo in the comments and I’ll randomly choose one person to win your choice of a $10 Starbucks gift card, $10 Amazon gift card or a book (US$10 or less) from Book Depository. And if anyone has magically filling bookshelves like these, I’m moving in. *Don’t forget – you can still enter to win the Hour 6 – Survey challenge. It’s open until this readathon is over! We are halfway there! I’m so impressed with you guys. 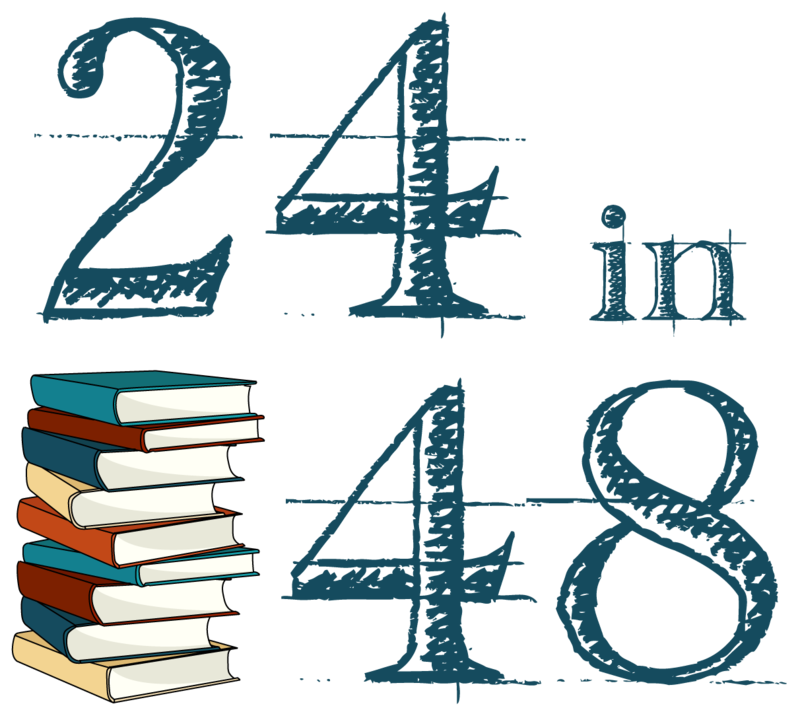 It’s been an incredible first day and I’ve been having so much fun watching the #24in48 tag on Twitter and Instagram (and omg, you BookTubers have been killing it!). I’m almost having too much fun talking to ‘thoners – I’m losing valuable reading time myself. (Not gonna lie, my favorite part of prepping for the readathon is gif hunting). For this challenge, I want to talk about one of my favorite side-benefits of reading: armchair traveling. Reading a great book that is set in (or is directly about) a really awesome place is the next best thing to actually traveling there. And sometimes, one of the reasons I choose a book is purely for location, whether that place is real or not. Even better, if that place is also in a completely different time and it becomes armchair time-traveling. In the comments, tell me what three destinations from books you’d combine to make your dream vacation. Real or not real, in this time or in another, anything goes. Where and when would you like to drop in to from literature? I’ll pick a winner at the next check-in at midnight in six hours, to win your choice of a $10 Starbucks gift card, $10 Amazon gift card or a book (US$10 or less) from Book Depository. We’re fully a quarter into the readathon, and if you’re getting a late start, WELCOME! Remember, it’s not too late to join the ‘thon. And if you’re reading along, don’t forget to officially sign up here. It helps me keep track of who is participating (and how many of you there are) and find you during the weekend to cheer you on. And if you win a prize, I can email you. Who doesn’t like that? For this check-in, I want to see where you’re actually reading today. 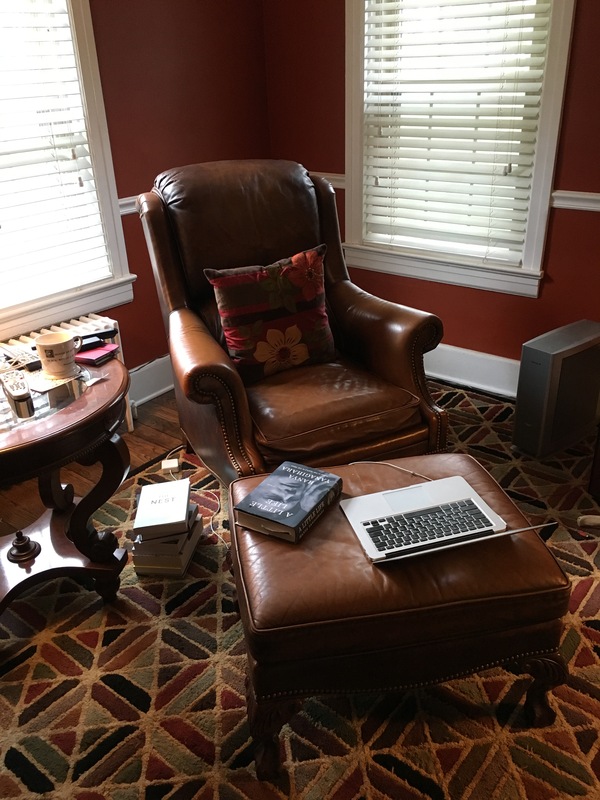 Take a picture of your reading nook or chair – wherever you’re perched – and post it someplace online, like Twitter or Instagram or Facebook, and leave a comment with the link. If you tag me on those platforms, I might not see it, so please leave a comment here. So show me where you’re reading this weekend and one random commenter will win a $10 Starbucks giftcard, a $10 Amazon giftcard or a book (US$US or less) from Book Depository. I’ll draw the winner at the next check-in in six hours at 6pm ET, so get your photos in and I’ll see you guys soon!